Beyond generations, above all genres, despite all interest and preferences, #MusicUnitesUsAll. 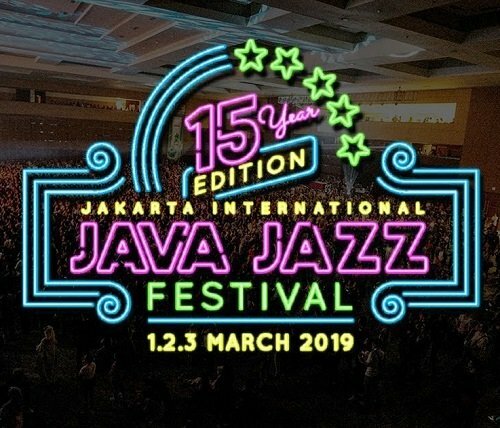 #JJF19 are celebrating the 15th edition and is inviting you to shake all worries away and enjoy music together on March 2019. And lineup for Java Jazz Festival 2019 is TOTO, H.E.R., RAVEENA, AFGAN, AKUSTIK TOHPATI FEAT. SHEILA MAJID, ANDIEN, ARDHITO PRAMONO,BARRY LIKUMAHUWA TRIBUTE TO ROY HARGROVE , DIRA SUGANDI, ENDAH N RHESA EXTENDED, HANIN DHIYA, HARVEY MALAIHOLLO & THE MILLENNIALS SING MOTOWNISYANA SARASVATI, KAHITNA, KUNTO AJI, MALIQ & D'ESSENTIALS FEAT. LALA KARMELA, MANTRA VUTURA, RADHINI, RENDY PANDUGO, RIZKY FEBIAN, TEDDY ADHITYA, YURA YUNITA and many more.